There’s a saying in Italy that ‘any home is built on the foundation’, and this applies to their philosophy of total team defense. For decades the approach of collapsing the team to defend counter attacks has been a stalwart of the Italian game. Consequently, if your defense needs tightening then you need look no further than at how the best coaches in Italy’s Serie A lock down the penalty area and block out attacks. In the 2006 World Cup Italy demonstrated the value of a strong back four. Admittedly, their attack wasn’t the best in the tournament, leading to many low scoring games. But the fact that they battled through to lift the trophy at the end proved that you can have a mediocre attack if your defense is sound. Through analyzing the formations and strategies used by some of the smartest tactical minds in Italy’s Serie A, Zonal Defending the Italian Way provides you with a comprehensive playbook on how to build a tight back four so you can lock out opposing attacks more frequently and win more games. 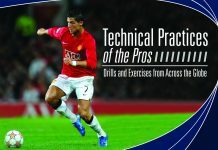 Author of Zonal Defending the Italian Way Michele Tossani is a coach and student of the game. Tossani is the author of a number of books including 4-4-2 vs 4-3-3, A Coach’s Guide to the 4-3-3, Champion’s League Tactics, Modulo 4-3-2-1 and Analisi Tattica Champions 2002 – 2003. He has also written numerous articles for the popular Italian soccer web site www.allenatore.net. 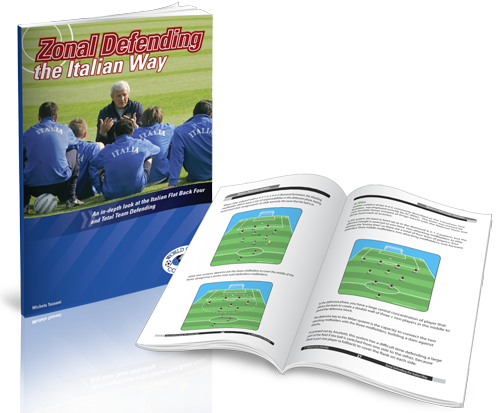 The first half of the book provides an analytical look at the methods, philosophies and tactics adopted by Italy’s leading coaches over the last two decades. 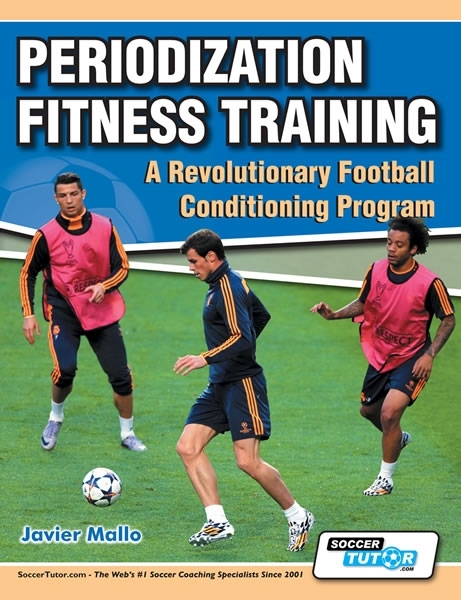 The second half is packed with detailed diagrams outlining real soccer drills and exercises used by the national team during two World Cup campaigns and those used by other leading coaches. Why a flat back four? 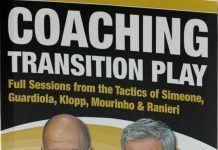 – The book starts by looking at why Italian coaches prefer a flat back four. This chapter also looks at the key components of a tight defense: flexibility, balance, simplicity and the ability to launch counter attacks. The differing responsibilities of fullbacks and central defenders are also assessed, and how a zonal defense can be best arranged to cover space and slow attacks. Back and midfield lines – This chapter looks at the positioning defensive diagonals, which is the key to a defensive back four. Where to position central midfielders to best assist the defense, where the lines of coverage should be and how to react to back passes by opposing attackers are just a few of the questions analyzed and answered. Modern defensive systems – Author Michele Tossani looks at Italy’s history of developing tough defensive strategies and how they have evolved today. This chapter analyses the defensive systems of Arrigo Saachi (coach of the 1994 World Cup team), Fabio Capello (former AC Milan and England manager) before looking at the defensive approaches of leading Italian clubs, such as Inter, AC Milan, Juventus and Florentina. Training sessions and exercises – The second half of Zonal Defending the Italian Waymoves away from theory to offering practical soccer drills and training exercises taught by Italy’s top coaches. This includes drills used by Arrigo Saachi at the 1994 World Cup, Marcello Lippi at the 2006 World Cup and those used by Fabio Capello at AC Milan and more. 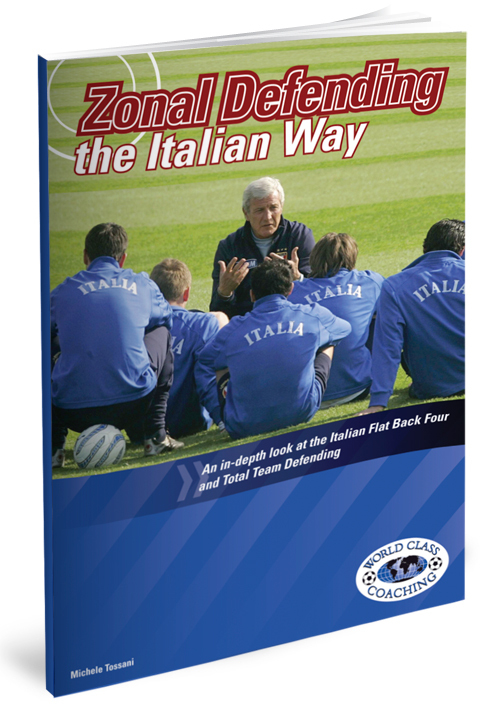 “Zonal Defending the Italian Way provides a comprehensive analysis of defensive coaching methodology within Italy’s top professional league, Serie A, while also including training sessions on the topic from elite Italian coaches that can be modified to educate players at all levels.This book is a great resource for coaches who want to implement a quality defensive system but also one that can be easily adapted to fit the needs of any team composition. 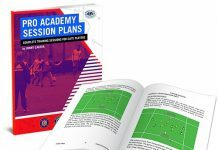 It’s a must have resource for coaches who want to strengthen their background and coaching on the defensive side of the ball.” – Rob Parker assistant coach Union College (NY) Women’s Soccer.